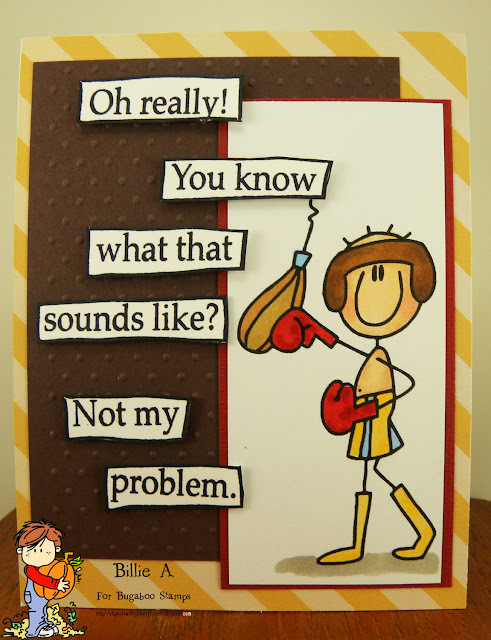 I could not figure out a good sentiment for this card.. I keep looking and looking. I have so many but just nothing fit this cute image.. This image is called Mammoth Friends.. What a talented artist. I would love to have the talent to draw images like this.. but I guess it's up to us that cant to instead just bring them to life. I loved coloring this cute image. I am sure the Mammoth is not this color but in my eyes he is. I hope you find time to play along and post your ANYTHING GOES card over at Inspiration Destination. Hope everyone had a great Thanksgiving and enjoyed some quality time with family. I know we did. My x daughter in law (who to me is not an x.. she is more like a daughter and her husband) sent us tickets to visit. So we got to spend 9 days in Las Vegas got some quality time with the grandkids and spent time with our son and his fiancé.. We had a wonderful time. We just got back yesterday. So now it's time for crafting and challenge time.. 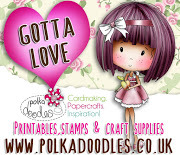 This is my card and the image is Cuppa Time.. I really just kept this CAS.. I wanted to use some washi tape and some fun bright colors. I like the way it came out. I hope you find time to play along. This is my Journal Inspiration page.. Since it's so late into the year I just may have to bring this one over to 2017 journal so I an enjoy it more.. I used the image called Girl teddy hug . . I again found a quote that I liked and then found the image that I thought was so cute and printed it out. I colored the image with copics and then used a white gel pen to give some dots to the bow and dress. I did the colorless blender liquid and terry towel to give he bear some texture.. I added the colored image to a scrap of quick quote designer paper and then laminated the whole piece and punch my holes. 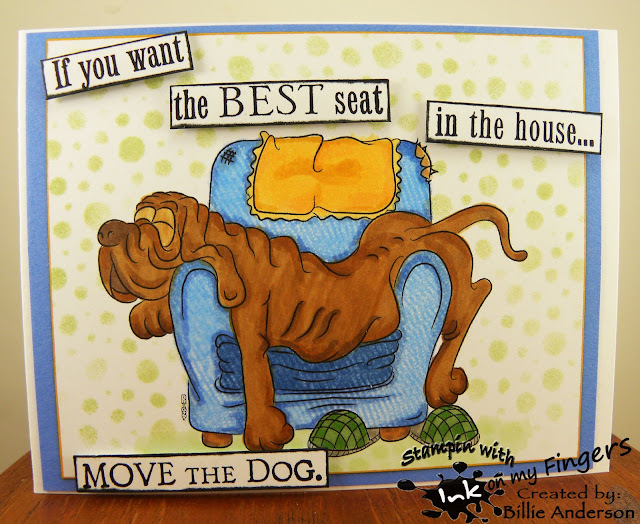 Welcome to Aud Sentiments #169 challenge.. A favorite for everyone.. Beings we are not sponsored this week we can use what ever we want.. WOO HOO I dug out an old stamp. I don't even know if the company is still around. It's an image from 1994 Peddlers Pack Stampworks.. I used this wood block stamp a lot in the past as the block had ink all over the base.. LOL I had fun using copics to color this image. Before I would of used pencils or markers... It was fun bringing the basket to life. I just recently got this die and sentiment from Tech. Tues in their Oct. mailing club.. I had to use it. I bought some paper at Michaels by mistake (poor lighting to me not awake enough) it was actually a silver shinny paper.. I cut the Thankful two times and layered it. I think I will keep the pack of paper.. well actually I have to now its been opened.. I have a 100 pieces.. well 99 3/4 pieces of paper.. Guess great time with the holiday cards that need to be made. 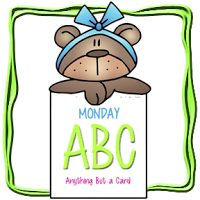 Lets see your card and remember to add the sentiment to your card.. 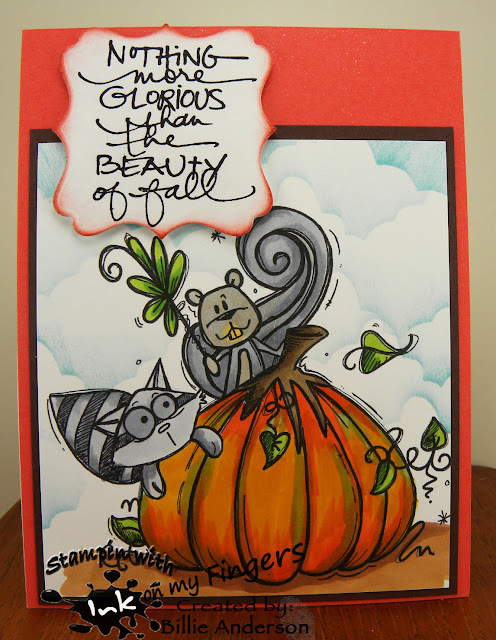 This is my card using the image called Autumn critters.. I love the colors of fall. I am not a big fan of the cooler weather.. Our squirrels in the Pacific Northwest.. well Washington for sure are grey in color.. I know other states have different colors.. I used this fun sentiment from Technique Tuesday. I hope you find time to play along. It is getting close to the beginning of the holidays. But it's always anything goes so hope you can play along. 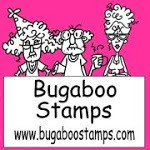 Welcome to Bugaboo New Release day.. This image today is called Sweet Angel.. and yes she is.. This image is so darling and you can see what the design team did over at Catch the bug.. So like I don't have enough coloring tools.. I went and purchased a 60 pack of Zig watercolor markers.. I just got them so decided to use on this image since there really wasn't much to color.. Other than her arms looking quite tan I like them.. As for her arms and hands being too dark she has her head kind a over them so it's casting quite a shadow.. It's my story and I am sticking to it.. LOL. I will have to practice. I still have them in the container so I really haven't got a grasp on how to see all the colors with out taking them all out.. Right now I don't want to do that as the container is so handy for storage. Anyhow isn't this Sweet Angel just too cute?? I love the peaceful feminine girly girl look. I used this awesome perfect sentiment from Tech. 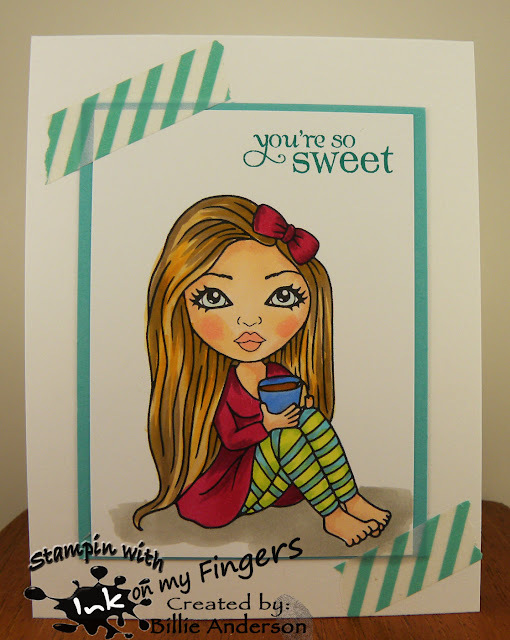 Tuesday and punched it out with my Stampin up punch. The other papers were scraps and the DP I have no idea.. lot's of times they come in kits which only give you a few sheets and of course the paper work that comes with it shows the name but once I separate the kit I have no idea what paper is what. Sorry. The strip of embossed teal behind the sentiment is a scrap. I used a white gel pen to add some dots and sequins to give it some background eye movement. 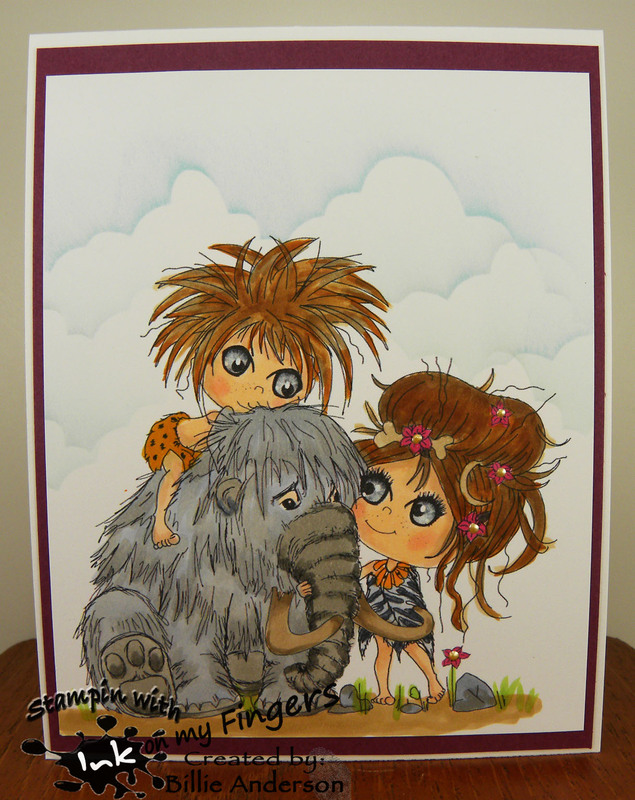 I hope you like and head over to Bugaboo to see the new releases and Catch the bug to see the DT cards. It's Friday and so that means it's Free Friday at Bugaboo.. You can see this image done up by the Design team at Catch the bug.. This is the Free Friday image.. Fall Wheelbarrow Kids.. This is a fun fall scene. I remember playing in the leaves in the fall.. praying that there wasn't a spider crawling around on me.. I do love the fall season but summer has my heart. I hope you get a chance to pick up this fun image. This is my card using the image Naughty Elf.. He is obviously eating the cherries.. If they are Maraschino Cherries I cant blame him.. I love those cherries. I tried to make it look like there were a lots of cherries in the container.. the image only had a few cherries but I wanted it to look like there were more so did different color of reds to give more depth. He was fun to play with. I use to be on the design team for Morgan's art world and always had fun using their image. This is a new image that I did not have. It's called Dragon 28. I had a lot of fun coloring this fine looking gal. I had to add the purples and teals.. I love lizards and this is close to one just a lot bigger.. I did not add a sentiment and up in the corner it says Dragon queen.. If you head over to Inspiration Destination you can see what the other design team did with an image from MAW. 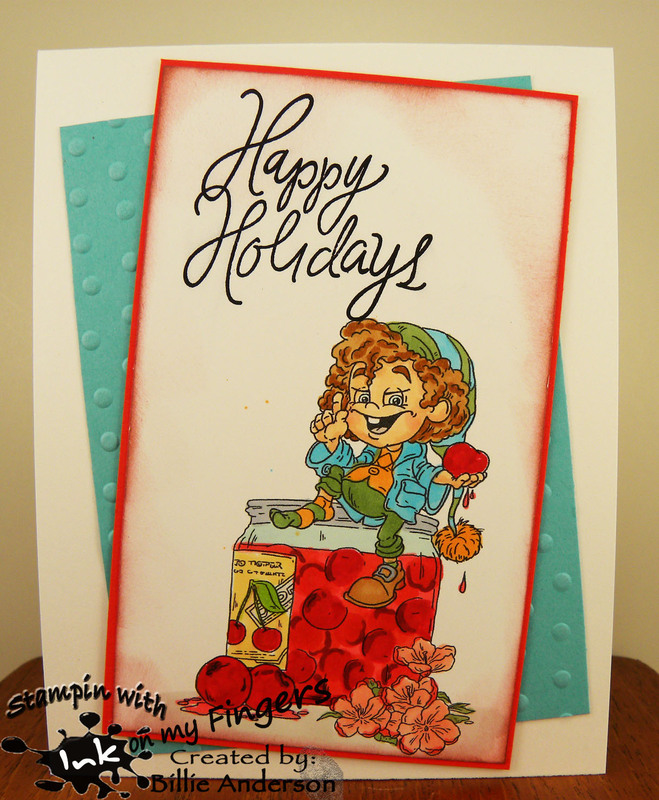 You still have some time before the Holiday's get here to get your card made and posted at Creative with Stamps. Hope to see you over there. use a bird stamp.. This is my mid month reminder. I got this awesome stamp set recently. I won a gift certificate at a challenge and I could chose a few companies to get images from. Since I do not have Mama Elephant images this was a fun great time to find something. Well I found an awesome stamp set and of course had to have the dies. I am so spoiled by dies, I hate cutting out images unless I have to and these are so tiny. 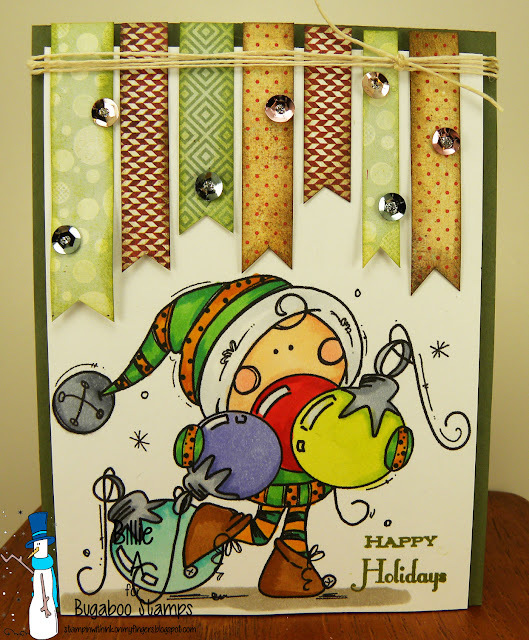 I had fun trying to figure out a scene so used my My Favorite Things grass and Paper Trey ink banner die.. Then it still looked plain so I used Simon Says ink and balloon and stamped a group of balloons and drew on the strings and added a Simon Says heart to the ends on the strings. I cant wait to use some more of the images. There were like 12 or so critters and all so cute. 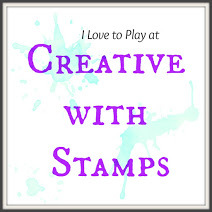 Lets see you bird stamp and add your card to Creative with Stamps challenge. Today we have Christmas Troll.. You can see the design teams use of this fun image at Catch the bug. This is the fun new image.. I remember my daughter use to collect the troll dolls in the 70's. She had quite a collection of them. This cute image was fun to color and remember my daughters little loved ones. 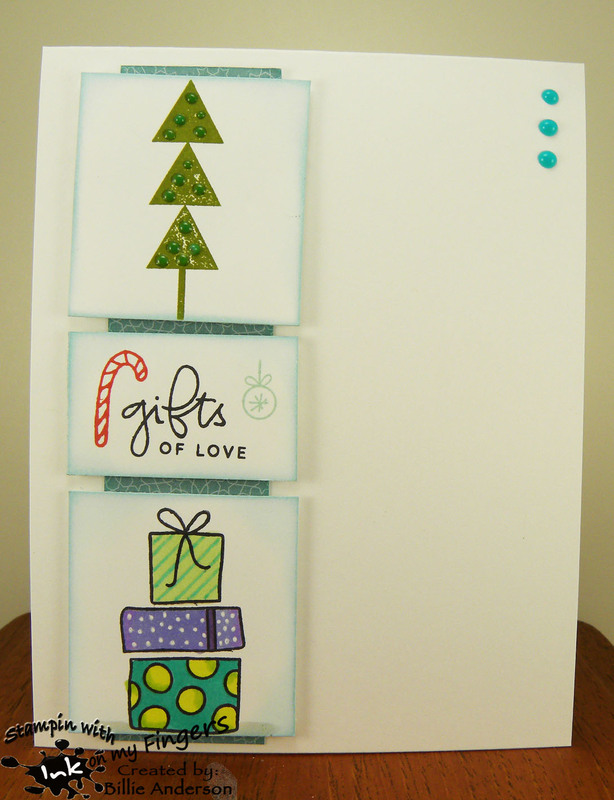 I stamped and embossed a bunch of snowflakes and hearts on the background and then used this pretty spellbinder die. I like the red and white with a hint of green. I hope you find time to head over to Bugaboo and see the new releases for November and possibly grab some other awesome images. 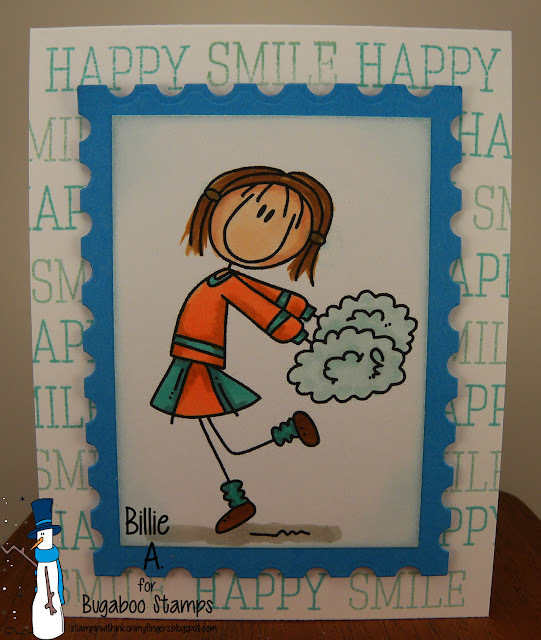 I was just looking at some sketches and saw again a great sketch on Paper Play challenges.. so thought I would create a card.. It wasn't quite what I wanted as the images were bigger then they should of been.. but I do like the CAS feel to the card. 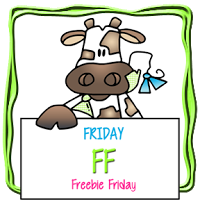 It's Friday and so Bugaboo has a Free Friday image for you..
You can see the image and how the design team used her at Catch the bug.. This is the image called Cheer leading... I really kept this simple and used a PTI inks and Simon Says sentiment.. I got some die cut postage pieced from Monika in Germany. I have a postage die and she had a different one so we exchanged some die cuts .. I like the fresh feel of the colors. I hope you grab the image while it's free.. have fun. 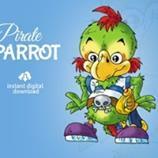 This is my fun card.. I love this cute image.. I have to tell you I wanted to make light shining from the bulbs.. but I was so scared I would mess up the image so for this card.. the lights aren't plugged in yet.. LOL.. I love when I see artist make that awesome shadow glow but I was not confident enough that I could pull it off. I took a piece of left over watercolor paper that was from a prior project and used the Stampin up ornament die and cut it out and added the sentiment from Paper Trey ink to it. I also found a jar of small star sequins and so added them to the background. Kind a tie'n in the colors. This card made me happy.. I hope you play along and remember to add your sentiment so we can see it. Catch the bug and how they used this cute image. This is the fun image called Elf 003... 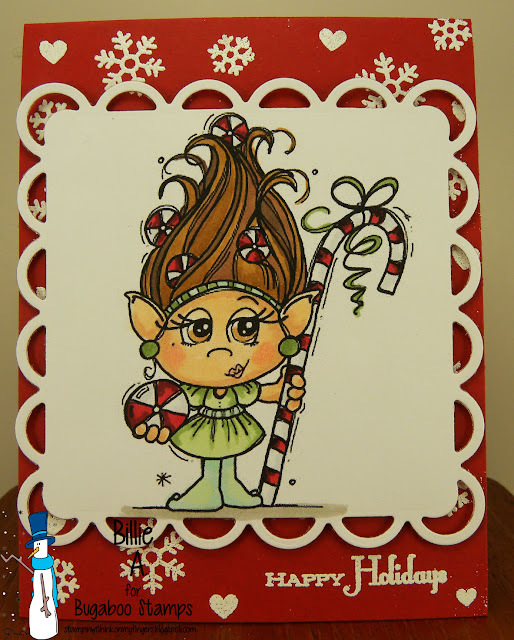 This cute Elf has a hand full of ornaments and I am sure rushing to get these to a tree to decorate.. It's almost that time of the year to get those Christmas / Holiday ornaments out.. I added some fun banners from assorted papers by Basic Grey and added some fun sequins from Stampin up.. It needed something else so I added the twine and this card is so cute in real life.. I hope you grab this fun image.. could be used for our Christmas Chaos that is coming up Dec. 3-9. I have a dear friend who I use to work with who loves peeps. She has quite a collection of them. I never knew how many there were.. so many different styles.. Well her birthday is November 26th and I will be seeing her this coming Wednesday and another dear friend who works with her so I will ask her to give my other friend her card on her birthday.. 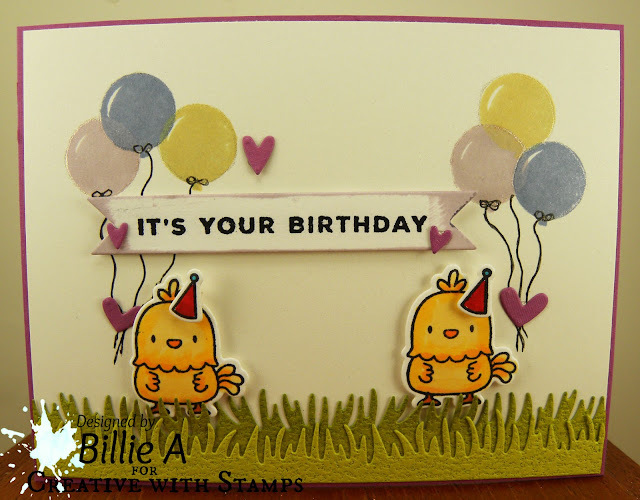 I saw this cute sketch at Paper Play sketches and knew it was perfect for the peep card. I've had this peep idea in my mind but couldn't figure a sketch.. well this one was perfect.. I love sketches and so want to get on another sketch design team.. I loved when I was on Unscripted Sketches.. It was so much fun bringing the sketch to life.. I think I said it before ... if anyone knows of a sketch design team with an opening.. let me know. Today we have a Free Friday image for you all. It's called Boxing punch..
You can find the image at Bugaboo and see the Design Teams cards using this image at Catch the bug. This is the fun little guy. I wasn't sure what to do and since I am in love with the snarky Dylusions sentiments I had to chose one that I thought would fit.. 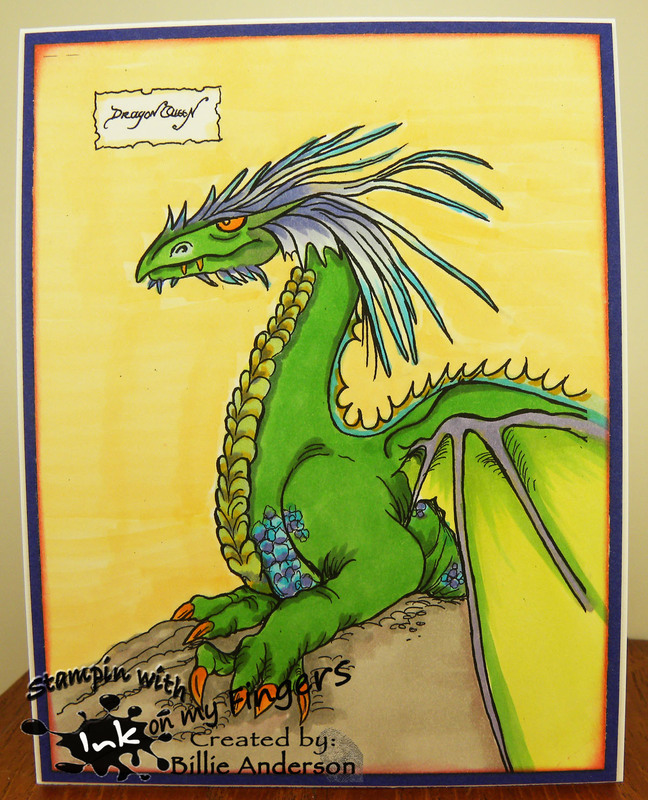 This looked good so I just colored him up and added some nice papers and embossed the brown then added the sentiment. Quite simple. This card sure made me laugh.. The image is called Best seat in the house.. I just happened to have this fun OLD sentiment. I don't know or remember who it's by.. sorry. But it was perfect and I just cut the stamped sentiment apart and went around the outside edge with copic pen. I colored the image with copics and used a Dylusions stencil for the background. I colored the chair and then took "0" copic solution on a small piece of old blue jean and gave the chair some denim texture. My little fur babies are too small to fill a chair but they do have the best seat in the house no matter what size. Well I am enjoying day 2 of retirement.. LOL like who wouldn't. I love that I can take time and create when I want and not have to depend on the weekend to create and all else that weekend only chores had to be done.. I am loving this.. 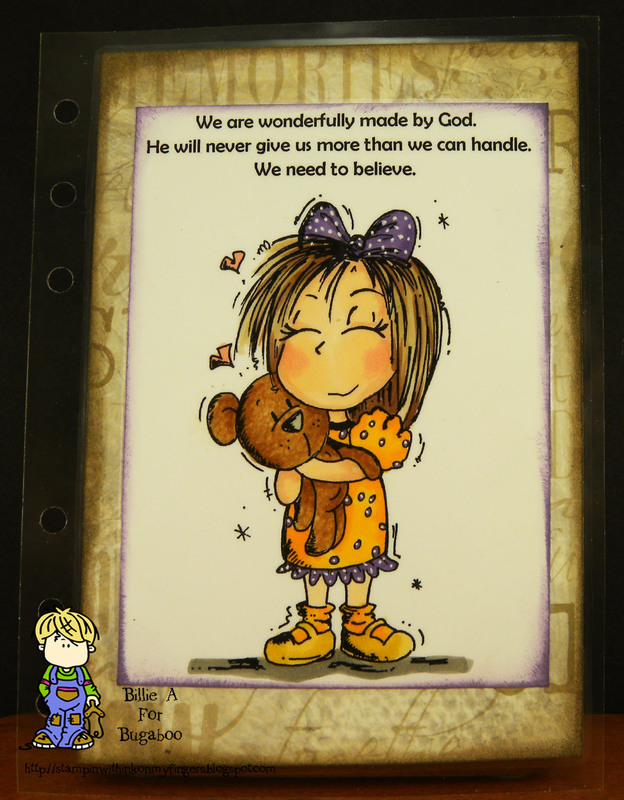 Here is the card I made using the image called Sweet Dreams.. I used Ranger inks and water color paper to make my background. Then I took white ink and star stencil from Simon Says and added the stars.. I was cleaning off the dobber on some scratch paper and liked the marks it was giving so did some dabber cleaning on the background so you can see the shared circles.. Gives a great look in person. I cut the Dream die out of some other water color paper. Makes for a nice night time dream card. I hope you play along and to get some inspiration head over to Inspiration Destination and see what the design team girls made..